Ismail is a thief who dreams of being a poet. He is drawn to Baghdad, the capital of the world, and on its turbulent streets falls in with the notorious poet Abu Nuwas: the Father of Locks. Ismail’s new master is not only a decadent drunkard, but also a reluctant agent of the scheming Wazir, who now assigns them to investigate reports that the Devil is stalking the city. Together the poet and the thief encounter a hidden world, of forbidden cults, foreign spies, and a mysterious Brass Bottle. When children start to disappear, it seems that there must be substance to the dark rumours of evil spirits and human sacrifice that haunt the city; but the secrets that Ismail and the Father of Locks uncover are more shocking still. The Father of Locks unveils the historical truth behind the Arabian Nights tales, proving that reality can be more fabulous than fantasy. It is a whirlwind journey through the poetry, politics and passions of Harun al-Rashid’s Baghdad, as well as being an exotic, enthralling adventure. 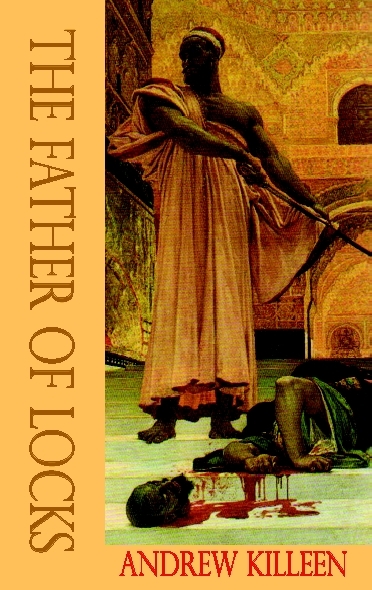 The Father of Locks is published by Dedalus Books. Abu Nuwas, the poet, libertine and spy known as the Father of Locks, is usually in trouble of some kind, but this time his problem is serious: he is about to be beheaded, for treason and murder. The Khalifah grants him a final wish, and Abu Nuwas asks for his friend Ismail the Storyteller, to explain how he came to be condemned. Ismail tells tales of the poet’s adventures, and of his bitter rivalry with a Roman assassin; tales which gradually reveal a shocking betrayal, and culminate in a death that will shake the world. 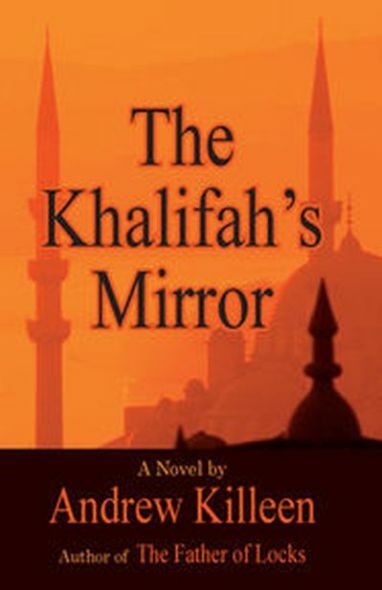 The Khalifah’s Mirror is published by Dedalus Books.